Microsoft today updated its Microsoft Wallet app and gave Lumia smartphone owners the ability to make mobile payments at supporting retailers. 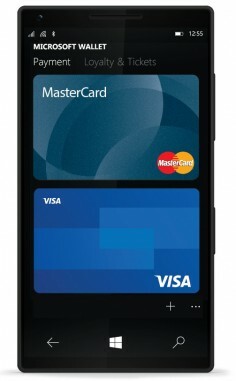 Windows Mobile has long included a Wallet app, but until today it was reserved for loyalty cards and other retail programs. Now, people can add their credit or debit card to Microsoft Wallet and use the app for tap-and-go purchases. The app is available to the Lumia 950, 950 XL, and 650, and requires Windows Insider build 14360 or higher. The Windows Insider program is free to join and distributes pre-release versions of Windows 10 Mobile that are still in development. Microsoft says the tap-to-pay feature will be expanded to all users running stock builds of Windows 10 Mobile later this summer. Both MasterCard and Visa support Microsoft Wallet, along with financial institutions including Bank of America, Chase Manhattan, People's United Bank, Fifth Third Bank, US Bank, and others. Microsoft says mobile payments should work at any retail terminal that accepts contactless payments. Microsoft Wallet is free to download from the Windows Store. Cricket Wireless today announced plans to sell the Microsoft Lumia 650. The prepaid carrier will offer the phone beginning May 6 for $130. The phone runs Windows 10 Mobile and features a metal-frame design with a 5-inch HD OLED display, 8-megapixel camera, memory card slot, and removable battery. Cricket says people who switch from another carrier will be eligible for a $50 bill credit. T-Mobile customers who switch to Cricket will be eligible for a $100 bill credit. Cricket's prepaid plans start at $40 per month. Microsoft announced the Lumia 650 ahead of Mobile World Congress and we had a chance to take a look at it on-site here in Barcelona. This mid-range Windows 10 handset is far more impressive than the entry-level Lumia 550, and almost outshines the high-end Lumias 950 and 950 XL. Here's why. Microsoft's web site suggests the Lumia 650 will be sold by Cricket Wireless, though Cricket has not confirmed that. The U.S. support page for the Lumia 650 mentions a Cricket variant, and includes a user manual for the 650 that names Cricket throughout. Additionally, documents spotted on the FCC web site confirm at least one version of the Lumia 650 supports U.S. LTE bands, including 2, 4, 5, 7, 12, and 17, which means it can operate on the networks run by AT&T / Cricket and T-Mobile / MetroPCS. Neither Cricket nor Microsoft have officially said if or when the phone might be sold to U.S. consumers. Microsoft today announced the Lumia 650, a $199 Windows 10 handset that bridges the gap between the entry-level Lumia 550 and the pricer Lumia 950 / 950 XL. 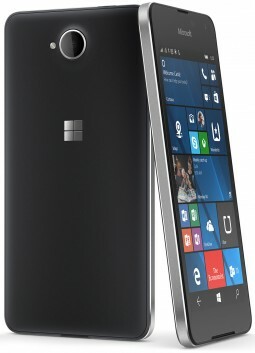 The Lumia 650 boasts an aluminum frame, slim profile, and high-quality glass. 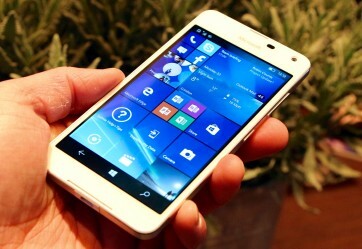 The phone has a 5-inch 720p AMOLED panel with ClearBlack technology and wide viewing angles. The phone is powered by a quad-core, 1.3 GHz Snapdragon 212 processor with 1 GB of RAM and 16 GB of storage. The Lumia 650 includes an 8-megapixel main camera and 5-megapixel wide-angle front camera for enhanced selfies. Both lenses have an aperture of f/2.2. The main camera has an LED flash, but video capture is limited to 720p HD. The Windows 10 platform includes Microsoft Office, OneDrive, OneNote, Cortana, and business-grade security features, as well as Xbox compatibility. The Lumia 650 packs Bluetooth 4.1, GPS, and WiFi. The published spec sheet suggests LTE support is limited to bands 1, 3, 7, 8, and 20, meaning it isn't necessarily compatible with US networks. 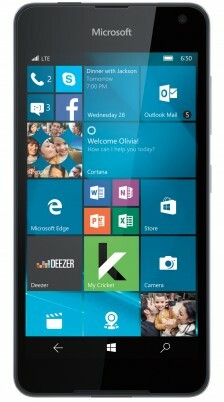 Microsoft's web site does, however, link to a user manual for a Cricket-branded version of the Lumia 650. Microsoft expects to ship the Lumia 650 to select European markets beginning February 18 for about $199.